HERE’S Harley-Davidson’s Street 750 re-imagined as a scrambler for a custom building competition staged by the firm. Harley gave each of its European dealerships a Street 750 to turn into a ‘one-off masterpiece’ in its ‘Battle of the Kings’ custom competition. The scrambler is by Harley-Davidson Lausanne in Switzerland. 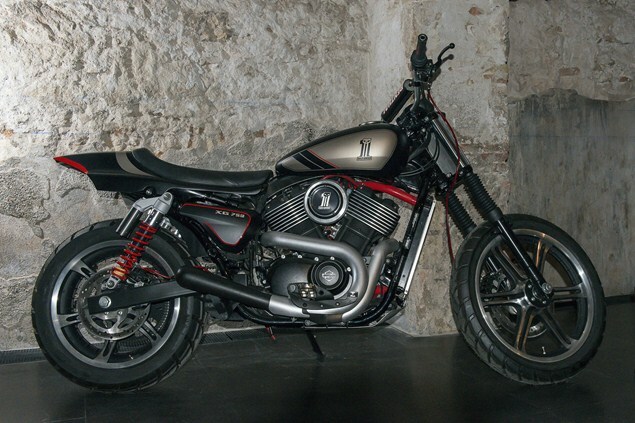 It was one of six entries shown off by Harley at this week’s launch of the Street 750 for the UK in Barcelona. See them all in our gallery below.